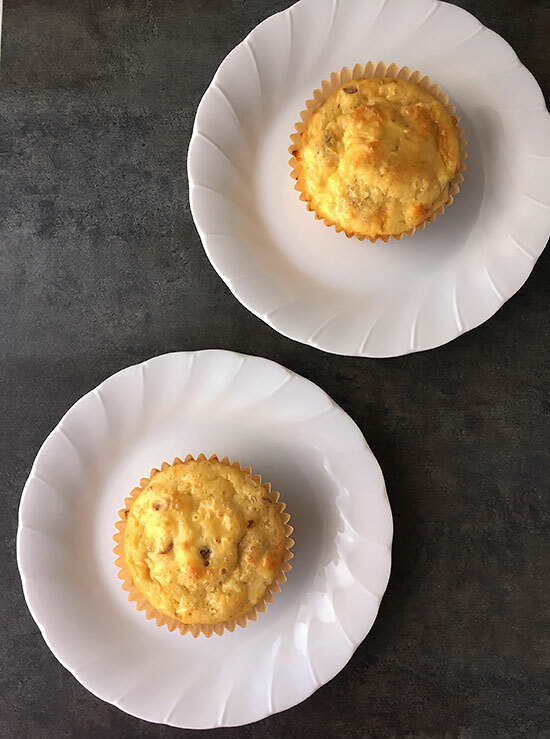 Loaded with protein, these muffins are one delicious way to start your day! Make them ahead and just reheat for an easy, healthy and portable weekday breakfast. Anyway, this week I came up with a new muffin recipe made with all-purpose Einkorn Flour. For those of you who may not know what Einkorn flour is, here’s a little info on it. It is the world’s most ancient wheat and the only wheat to never have been hybridized. Einkorn is packed with more nutrients, vitamins, and dietary minerals than regular wheat. Einkorn has 40% more protein and 15% less starch than commercial wheat, plus abundant B Vitamins and trace minerals like iron. Because the gluten in einkorn does not have the high molecular weight proteins that many people can’t digest, it is tolerated by some people with gluten sensitivity. Those with celiac disease should still avoid because it does contain gluten. I can’t really describe the flavor of Einkorn flour, but it’s different from other types of wheat. The delicious flavor is so unique and amazing. It can be a little tricky to work with in some recipes, but I’m enjoying experimenting with it. 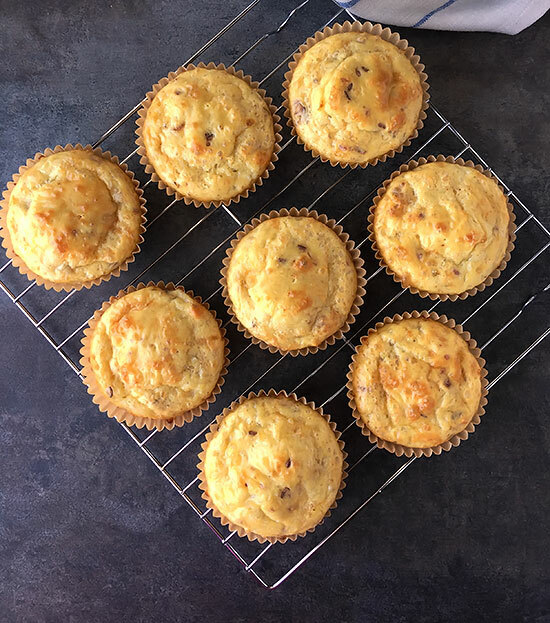 These Einkorn Protein Muffins with Bacon are a great place to start if you aren’t familiar with this flour. Einkorn can be substituted cup for cup with regular whole wheat flour in some muffin, pancake, cakes and cookie recipes. However, sometimes, the amount of liquid in the recipe needs to be reduced by roughly 15-20%. Here are some more tips for baking with Einkorn flour. I love making these ahead and having them in the fridge for a quick breakfast or snack option. They are full of healthy protein, so it’s a great way to get your day started. 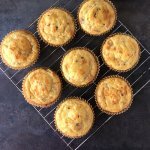 My Einkorn Cottage Cheese, Jalapeno Muffins are also a good option! The brand of Einkorn all-purpose flour that I use and love is from Jovial Foods. I’m not affiliated with them in any way. I just love all of the products I’ve tried so far from them. I buy the flour at our local Natural Grocers, but I think some Whole Foods might carry it also. In a large nonstick skillet, cook the bacon, over medium heat until brown and crispy. Place the cooked bacon onto a paper towel-lined plate to drain, let cool, then chop into tiny pieces. In a large bowl, sift the flour, baking powder and sea salt together. In a medium bowl, whisk the eggs and cottage cheese together. Add the shredded cheese and whisk until combined. Pour the wet mixture into the bowl of dry ingredients, then gently fold the flour into the egg mixture with a stiff spatula until it's smooth. Place 8 baking cups (or grease 8 muffin slots with butter) into the slots of a 12 cup muffin pan. Evenly portion the batter out into each cup. 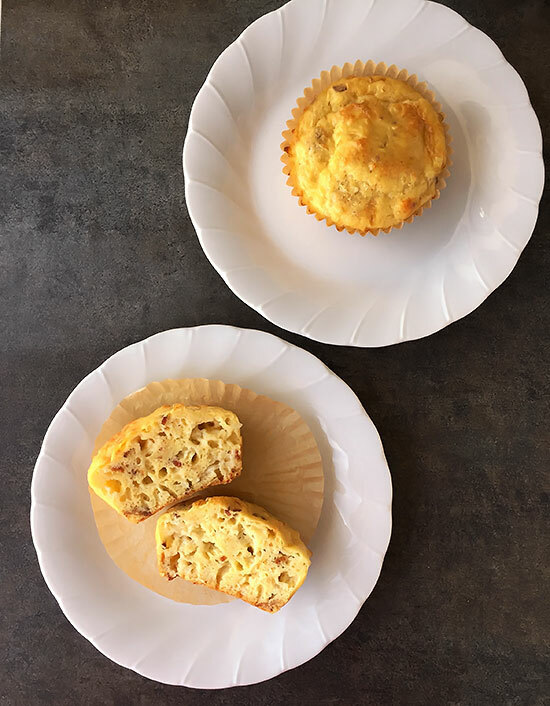 Place into your preheated oven and bake until the tops begin to turn golden brown and a toothpick inserted in the middle of a muffin comes out clean, about 22-25 minutes. Posts contains affiliate links. If you purchase a product through an affiliate link, your costs will remain the same, but I earn a small commission. This helps to cover the costs of this site. Thanks for your support! By Tempie at August 16, 2017 .